Kickstarter Rainbow Pencils: What does it MEAN?! Kickstarter is such an interesting place. From documentaries about Juggalos to more 3D printers than you can shake an extruded plastic stick at, anyone with an idea, cursory video production skills and an internet connection can sign up for a project. Luckily, there’s no shortage of scribomechanica fans out there who have Kickstarter projects. I won’t go into all of the pens you can find being made there (Brad at Pen Addict has a really great list already assembled — I am partial to the gorgeous Render K by Karas Kustoms), but our inky brethren can pledge to their hearts’ delight. 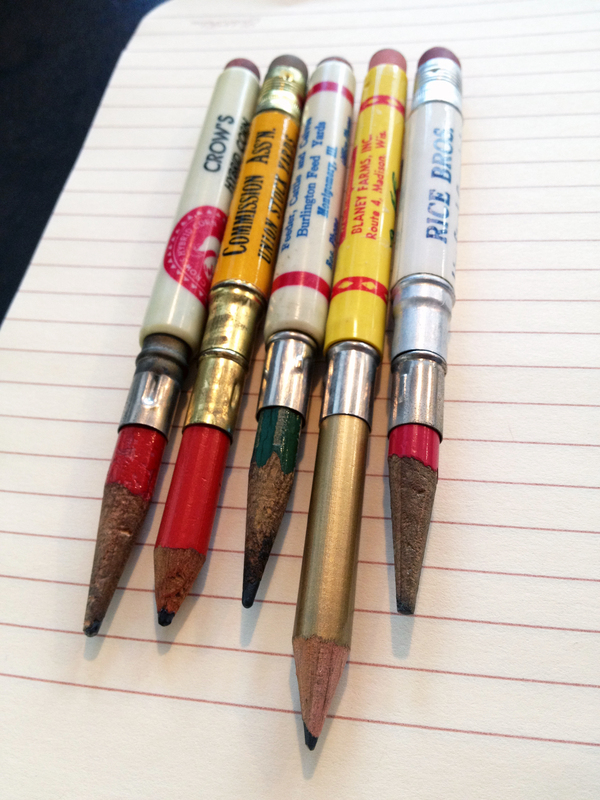 While pickings are admittedly slimmer, pencil lovers can still find some gems. 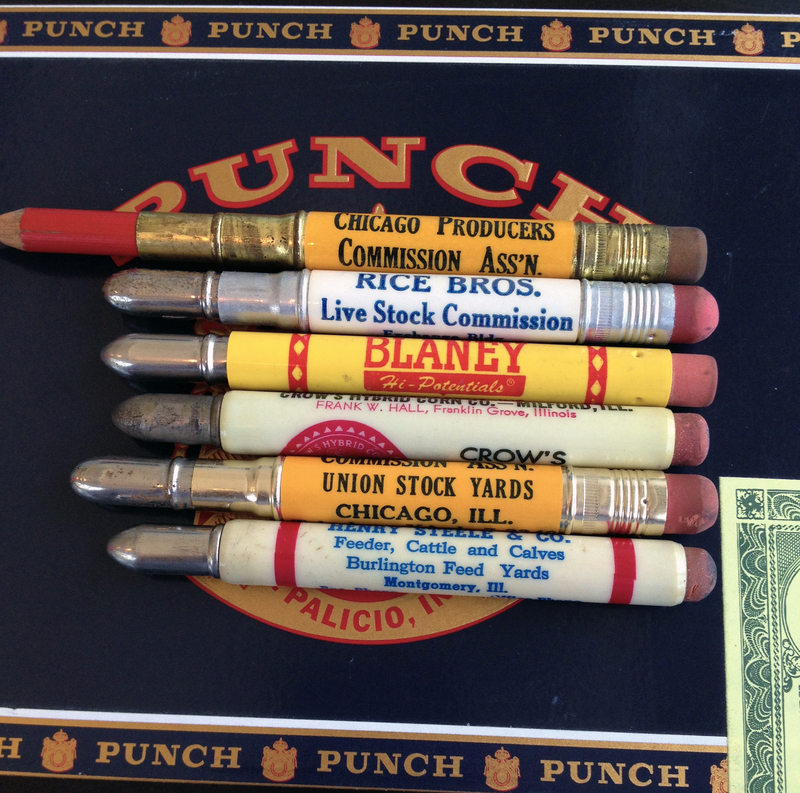 I’ve written about a few of them before, like a pencil ruler or the Sprout pencil. Why, just yesterday, Pencil Revolution shared this gorgeous notebook with a funny name that just reached its funding goal. So I’m excited to share this one. This pencil’s only purpose seems to lie in its novel aesthetics, though it’s utterly charming. Oh god, not these. Lisa Frank has nothing on this project. It’s much more understated. Like a kiwi. When you buy your Kiwi at the supermarket, it’s just a simple, brown hairy thing, right? But you slice it open, and there’s an unexpected shock of color. I love me some GIFs, so I was extra excited to see that the Kickstarter page had one of this pencil! Rainbow Pencils function like regular wooden pencils, and are the same size and weight, but they’re not made from wood, they’re made from layers of recycled waste paper. In the United States alone, over 7 million cubic feet of wood are used every year to manufacture wooden pencils. 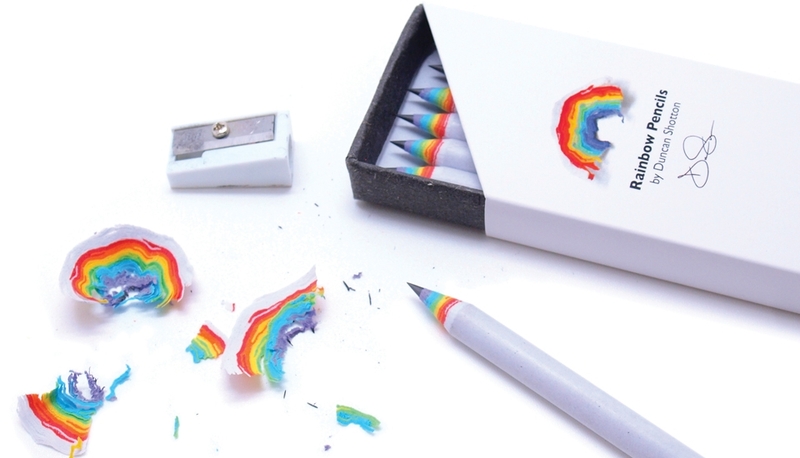 With rainbow pencils, not only do all those trees not need to be cut down, but the huge amount of paper that might otherwise be thrown into landfill, can be recycled and put to good use. Each pencil has a 6-layer rainbow core and comes finished in either black or white. What a fun way to be environmentally friendly! Most of the recycled paper pencils I’ve used before involved newsprint, so aesthetically, it either looked like newspaper, or mottled gray paper. It definitely lacks the aesthetics of a cedar pencil — no fragrance and no tight woodgrain look. This rainbow pencil helps with that. I certainly can’t speak to the performance of the pencil, but if delight is in the details, then sharpening this would be a joy. Head on over to their Kickstarter page to check out the pledge levels and to watch the video! 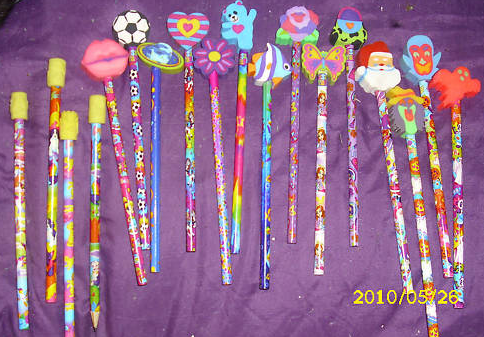 I’m basically the Perez Hilton of pencils. Should I write snarky remarks all over the photo in freehand? In any case, it’s great to see it. I image the white pencil against the dark desk washes out some of the lacquer detail a little bit, but I’m assuming it’s going to be a bit more, well, pearlized once we can see it in real life. I quite like the black eraser accenting the black lettering on the white barrel, though I don’t know how I feel yet about the brass ferrule. I may want to try a pink eraser in it to see if it looks like a rare albino Blackwing. Thanks, Alexander, for sending this photo over! The Palomino Blackwing Pearl — now, with an exclusive preview! It’s been a very Palomino-focused spring around here at Woodclinched. I hope that soon I’ll have some more Yikes! stuff to show you, but in the meantime, there’s some news out of California Cedar Products that I can’t resist sharing. Pencils.com and Palomino (I’ve never sure which brand is now the authoritative Blackwing spokes-entity) just announced this week the creation of the Palomino Blackwing Pearl, the third pencil in the Palomino Blackwing lineup. The Blackwing Pearl features a lustrous pearl white finish and black eraser, along with a balanced and smooth graphite core that is softer than the graphite found in the Palomino Blackwing 602, but firmer than the graphite found in the Palomino Blackwing. I spoke with Pencils.com president Charles Berolzheimer, “WoodChuck“, last week about the new pencil. The phrase they’re using to describe it is “balanced and smooth.” I asked if they’re going to put that as the motto on the barrel, and he said no. Charles did, however, tell me a little bit about the style of the new Pearl. 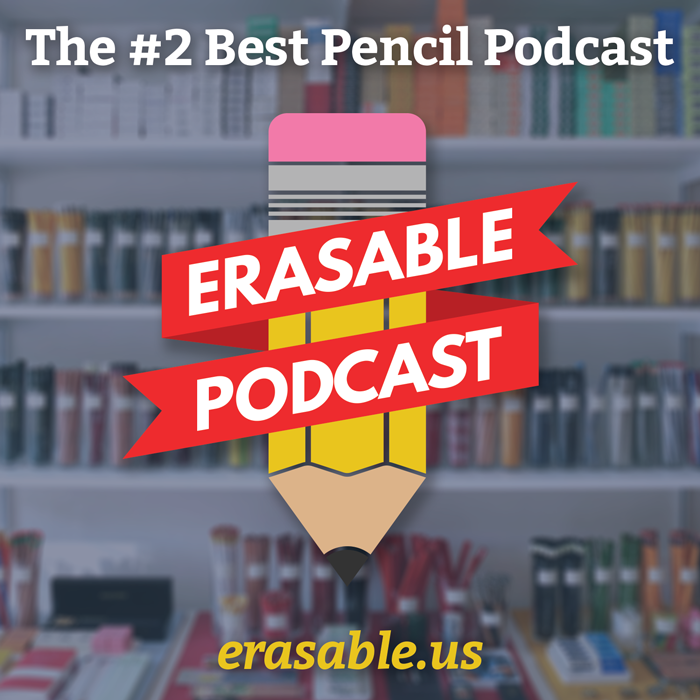 Admittedly, I imagine a pink eraser would look really good with this pencil, but honestly, the black eraser on the white pencil with that gold ferrule? That’ll look really lovely. The Blackwing Pearls will be released to the public on May 2, and will apparently be available both on Pencils.com and in retail stores, where the product line has really been become more and more prevalent. No word yet on their price, but I’m assuming they won’t cost more than their counterparts ($19.95 for a dozen, or $163.98 for a gross). Just kidding. This is the product of my terrible, terrible Photoshop “skills”. I used to have a vector of the Palomino Blackwing logo, which I can’t seen to locate, so as you can see, I expertly re-created it. I will, however, attempt to talk my way into a advance sample, so I can give it a good try, all in the service of my Dear Readers. And hopefully, the real-life thing will look much better than this abomination, above. Stay tuned! Meanwhile, check out the full press release here. And after May 2, check out Pencils.com to buy it!